If you like it then you better put a ring on it! This Edwardian gold style ring is a perfect choice for an engagement ring or promise ring. 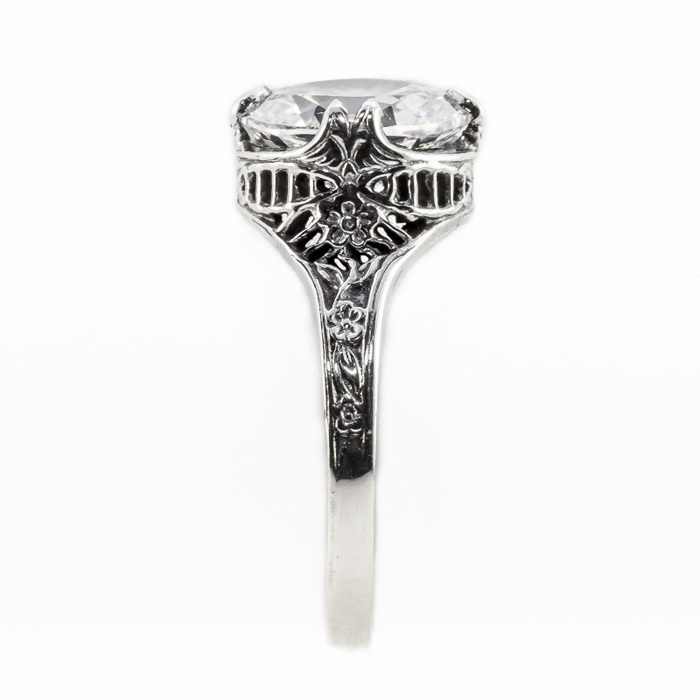 The Edwardian style ring is a true treasure. A perfect one of a kind ring for your special love. The stunning red garnet sparkles and paired with the precious 14K white gold band, you have a match made in heaven. 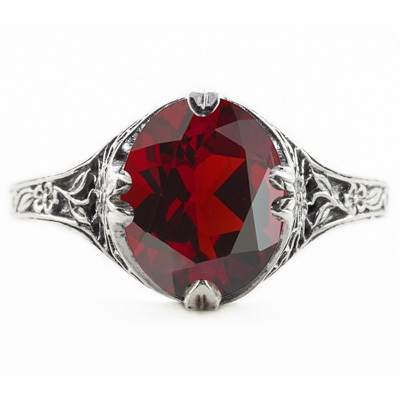 The floral touches of this garnet ring will have you dreaming of your wedding bouquet. Measuring 10mm x 8mm and ready to ship to your home today. A loving token of a 14K white gold engagement ring. We guarantee our Edwardian Style Floral Design Oval Garnet Ring in 14K White Gold to be high quality, authentic jewelry, as described above.